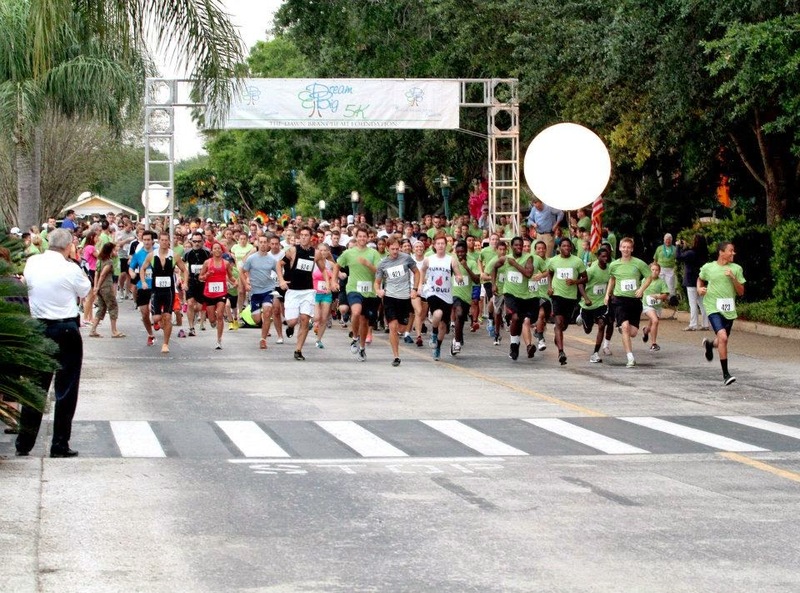 ORLANDO, Fla. (April 4, 2014) – The Dawn Brancheau Foundation’s Fourth Annual Dream Big 5K, a family-friendly fun run, will be held Saturday, April 12 at 7:30 a.m. at SeaWorld Orlando. The run will be followed by community service projects that positively impact organizations the Foundation supports in the Central Florida area. The Dream Big 5K is a scenic 3.1-mile fun run through SeaWorld Orlando. The mission of the Dawn Brancheau Foundation is to improve the lives of children and animals in need, inspire others to follow their dreams, and promote the importance of community service. Dream Big 5K participants are encouraged to form a team and ask family, friends, and co-workers to join them. There will also be a special route for a Family Fun Walk, where strollers/baby joggers are welcomed. During the run, Dawn's inspirational music from her personal iPod will play throughout the park. Prizes will be awarded for the first three male, female and youth runners. · Supply veterinary care and medicines to the dogs at Harbor House Paws for Peace Kennel and Orange County Animal Services. Runners, walkers, and supporters are encouraged to bring new or gently used running shoes with them on the day of the race so they can be donated to families serviced by Matthew’s Hope. All participants are invited to join in the community service projects following the Dream Big 5K. Volunteers will remain in Sea Harbor Pavilions immediately after the event to assemble “doggie adoption bags” for Osceola County Animal Services, and "Family Food Bags" to be donated to the families serviced by Matthew's Hope. Registration and packet pick-up will be held in the lobby of the Fairfield Inn & Suites at 10815 International Drive on Friday April, 11, 2014, from 3 p.m.-7 p.m. Onsite registration on the event day begins at 6 a.m. with the run kick off at 7:30 a.m.
For more information about The Dawn Brancheau Foundation’s Dream Big 5K, please visit http://dreambig5k2014.kintera.org/.The Dawn Brancheau Foundation, a 501(c)(3) public charity, was formed in 2010 in memory of Dawn Brancheau, a truly inspirational woman. For more information about the Foundation or to donate, please visit DawnsFoundation.org.